For Thornton, Record Store Day Stirs Memories On Saturday, nearly 500 independently owned record stores across the country are celebrating Record Store Day. 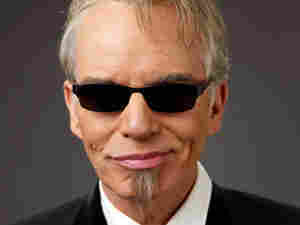 Actor and musician Billy Bob Thornton remembers the record store of his childhood and explains why stores like it are crucial to the spirit of music. Record Store Day was created to draw attention to the independent record stores still fighting to stay open in the digital age. Sometimes getting older means watching the things you loved as a child become obsolete. 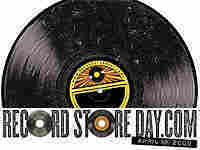 Record Store Day was created to ensure that digging for music in one's hometown doesn't go the way of the rotary dial. To mark the third annual Record Store Day, actor and musician Billy Bob Thornton offers his remembrances — and describes why independent record stores remain crucial to the spirit of music. When I was growing up in my little town of Malvern, Ark., we had a shop called Paula's Record Shop, run by this lady Paula. And we would come in and stay all day, thumbing through the 45s and the albums, and just look at everything. We couldn't afford to buy anything, so we would just hang there all day — it was really like Oz to us. I got my entire musical education from that record store and the radio. We would hear the songs and the bands on the radio, and we'd go straight to Paula's and stare at the covers and read the album notes. It was the only record store in town. There weren't any big conglomerates or any other record outlets. It was just this little shop — it seemed at that time so huge to me, but I know now it was just this little-bitty building. My friends and I couldn't believe it when we went in there. It was like magic to us. When I'm out on tour or on location, I'll find whatever independent record store is around, and that's where I'll go. There are still some cities that have record stores that give me that same feeling when I used to walk into Paula's. In Austin, I go to Waterloo; in Minneapolis, I go to the Electric Fetus. I usually have to get an extra suitcase to bring hom everything I buy at those shops. Independent record stores are really the only places left with the actual spirit of music as I knew it growing up, and hopefully, they'll be around 50 years from now. Because that's where it feels magical: You don't feel like you're buying a tire iron, tube of shampoo, a 12-pack, a bag of Cheetos and a record.